PK344 Finish: Polished Stainless Steel Features: -Spa collection. -Material: Stainless steel. -Wall mount. -Concealed fastening. -For guest or bath towel. 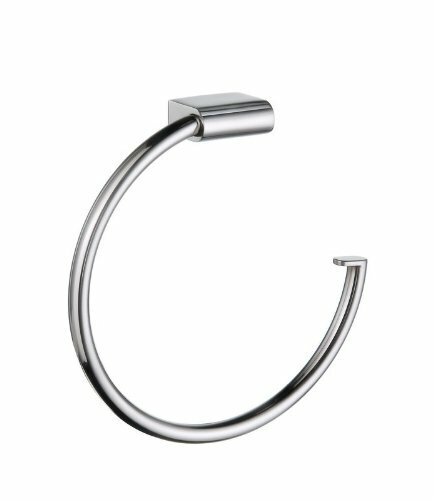 Product Type: -Towel ring. Style: -Modern. Mount Type: -Wall mount. Primary Material: -Metal. Dimensions: Overall Height - Top to Bottom: -7.25". Overall Length - Side to Side: -6.75". Overall Depth - Front to Back: -0.75".